ECO wine Archives - Write for Wine: It's Wine O'Clock Somewhere!Write for Wine: It's Wine O'Clock Somewhere! 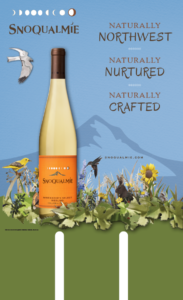 April 22 is Earth Day, a great time to open a bottle of value wine from Snoqualmie Vineyards. According to the winery, they have the largest certified organic vineyard in Washington state.